Present state: The platform is still extant. 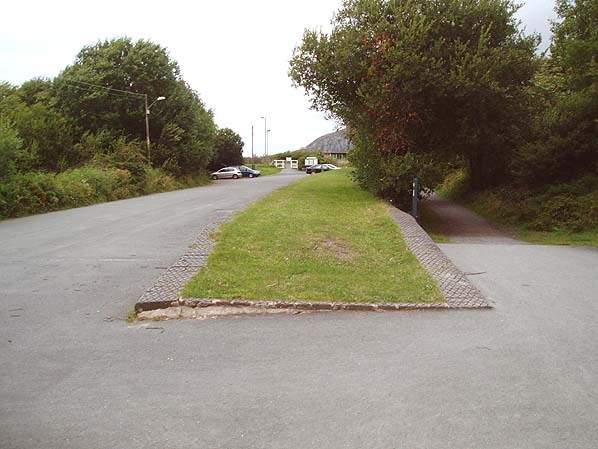 The southern end has been landscaped and the site covered in tarmac to form the station car park. 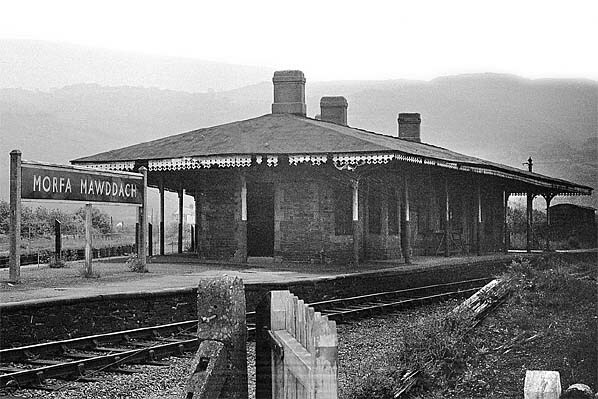 Notes: The station was opened as Barmouth Junction. 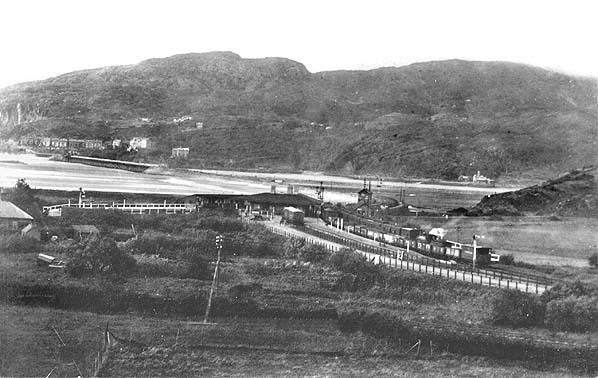 Initially it was a terminus because the viaduct across the river at Barmouth has not been approved for passenger use; passengers were taken across by horse and carriage. 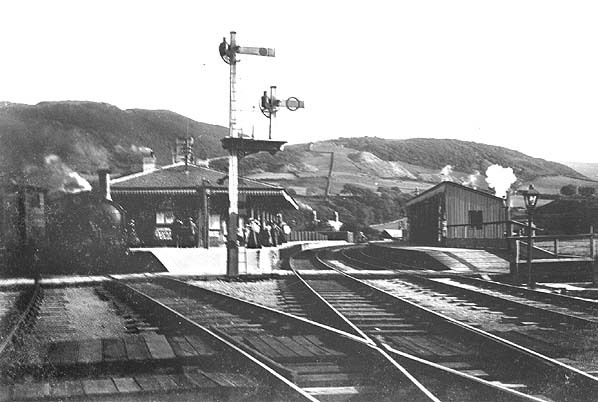 Regular trains first crossed on 10.10.1867. 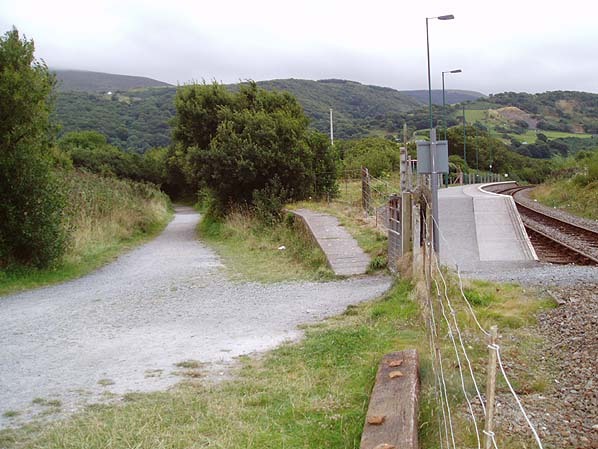 The station was sited on the north side of a triangular junction although through running from the Machynlleth to Dolgellau direction had not been possible since the closure of the South cabin by the Cambrian Railway before WW1. The curve itself was retained as a siding, and was used until the early 1960's for turning locomotives. 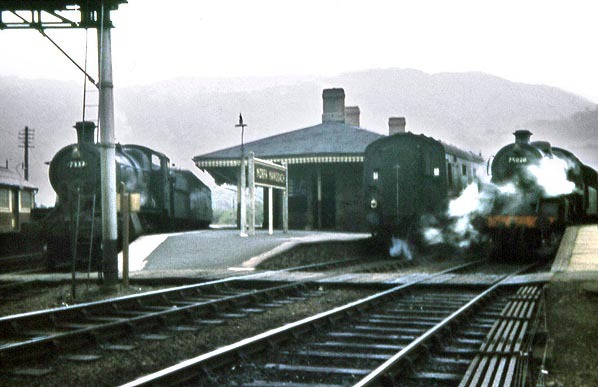 A busy day at Morfa Mawddach station in October 1962. On the left 7339 hauls a train from Dolgellau to Pwllheli, The rear of Pwllheli to Aberystwyth train is seen in the centre while 75020 hauls a train from Machynlleth to Barmouth on the right.